The early Aughts brought us the rise of plastic. Then there were bubbling threats of a carbon-fiber flashback (soooo ’90s), but thankfully that didn’t go anywhere. The last year or two might have been dominated by paper (exhibit A, exhibit B, exhibit C). 2010 is the year of aluminum. British designer Michael Young moved to Hong Kong in 2006, drawn in part by the manufacturing capabilities of its factories. Late last year at Vienna Design Week I saw the debut of his first line of furniture produced there, including Chair-4a, with gorgeous bent aluminum legs (right), and the Zipte Link room-divider system, made out of a puzzle of extruded aluminum wishbones. 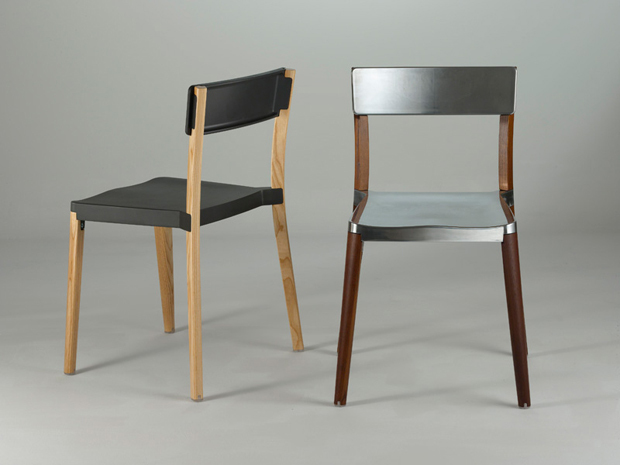 Now he’s announced a new line of aluminum chairs called Lancaster produced with the American company Emeco, known for, well, aluminum chairs. The gorgeous ash legs mellow out the techy feel of those cast aluminum seats. 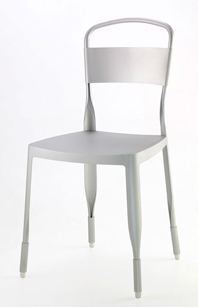 Meanwhile, Julien Renault released a line of stools made out of hand-forged aluminum. That’s right: this is hammer-and-tongs stuff, the real deal. 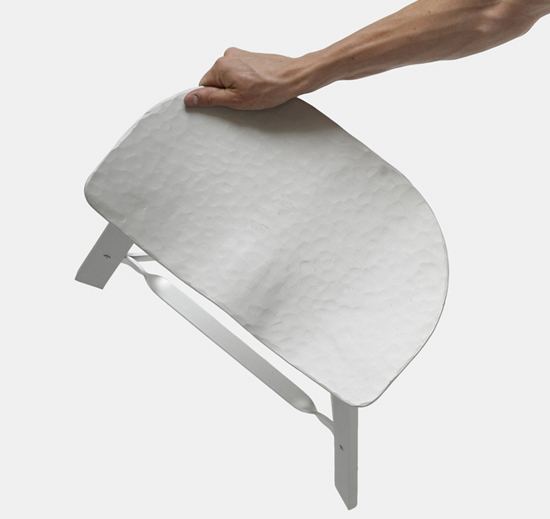 The pieces have a much rougher, almost pottery-like feel compared to Young’s precision finishes, but without losing that trademark aluminum softness. If you’re reading this on a MacBook, you know what I mean. And if you’re not, you’ll know soon enough. One word: aluminum. Think about it.